Treat your little Princess with this truly magnificent Princess Carriage bouncy castle and slide. 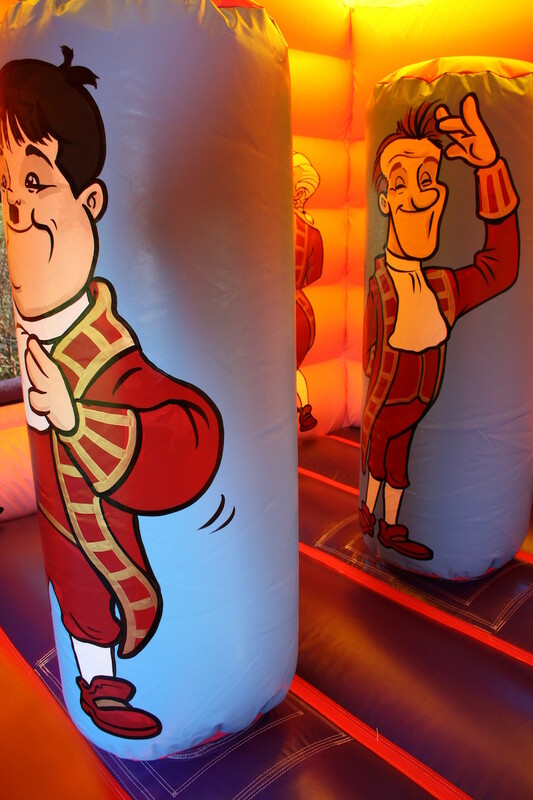 This beautiful hand painted bouncy castle has a bounce area with biff n’ bash wobblers and the added excitement of a slide through the galloping horses. For indoor hires we add twinkling lights on the outside of the carriage which makes it look even more spectacular. 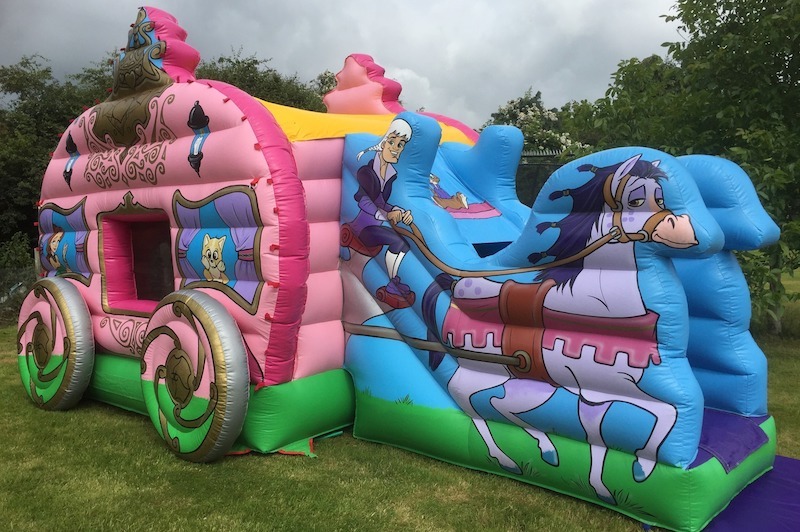 Princess Carriage is suitable for outdoor and indoor hire subject to the ceiling height. 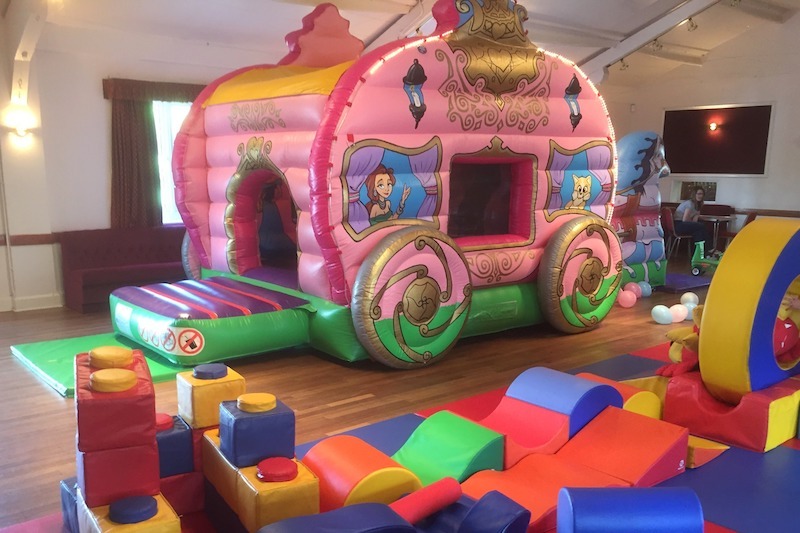 You will also have the free use of Plasma Cars or Didi Cars if your party is going to be held indoors. 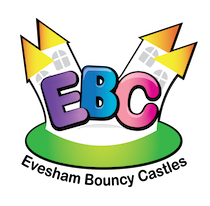 For advice on which village hall or venue to choose from, please contact the office and we will recommend one based on our wealth of experience which we have built up over many years of hiring bouncy castles in and around the Evesham area. 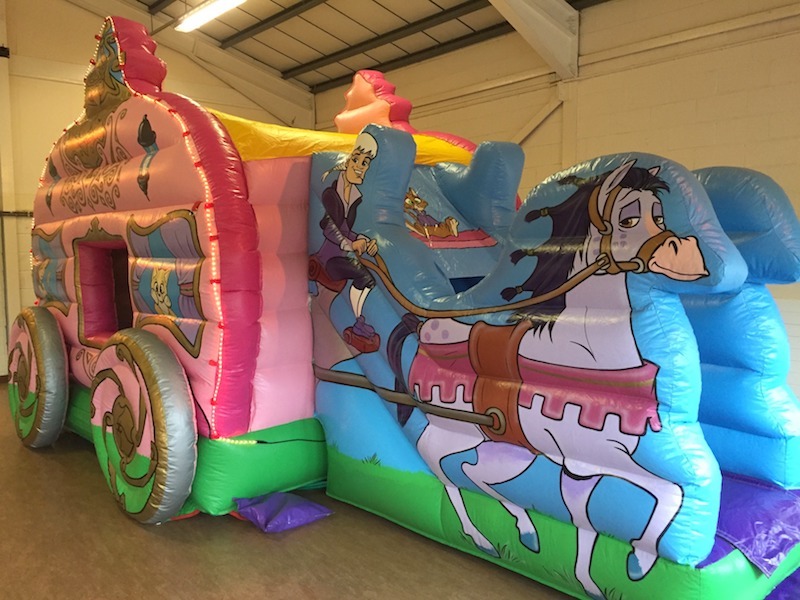 Princess Carriage Bounce and Slide is available to hire for children’s birthday parties, school fetes and family fun days. 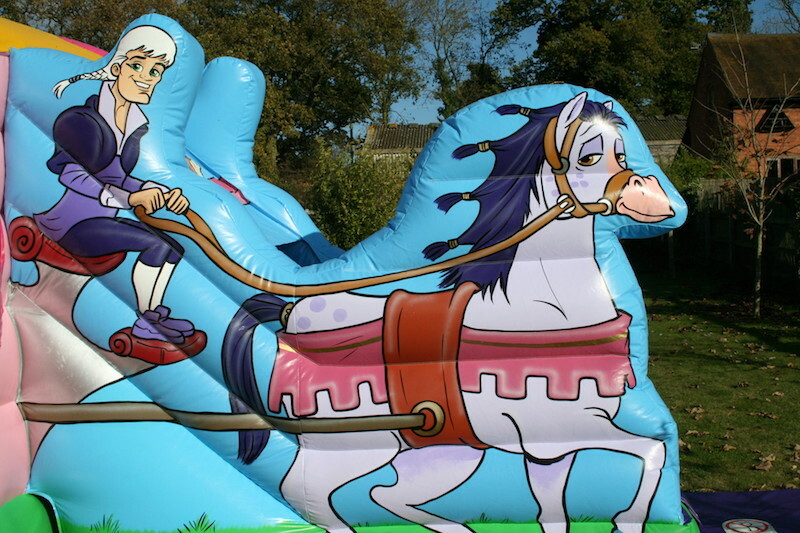 For more information on our Princess Carriage or any of our inflatables please contact us.